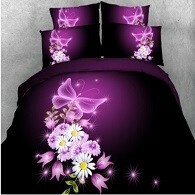 One set (4PCS) = 1 duvet/quilt cover + 1 bed sheet + 1/2 pillowcases. Without comforter. 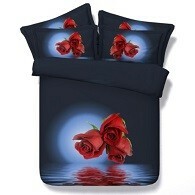 One set includes 1 duvet/quilt cover, 1 bed sheet and 1/2 pillowcases. Without comforter.